About College: GLA university of Mathura is known as Ganeshi Lal Agra. 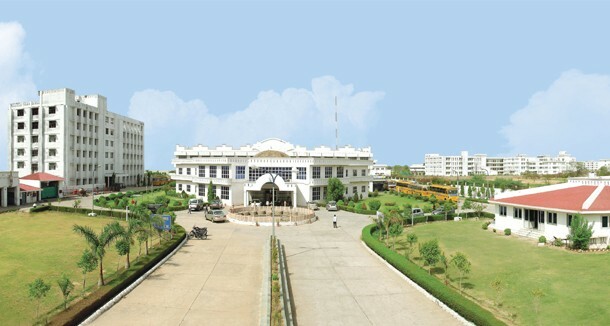 It is a private college which was established in 2010. GLA university providing various UG, PG, Diploma, Certificate and research level courses in the field of Engineering & Technology, Business Management, Pharmaceutical Research, Applied Sciences & Humanities etc. This is highly reputed college in Mathura. LA is a well renowned name in the field of education and is directly contributing to the overall education scenario of the country. Our students are working for some very famous companies in the country in different functions. We at GLA strongly believe in the creation of good quality human resource with training of intellectual minds. To help students stand-out and gain competitive edge over the others, we stress on developing both functional skills and exceptional practical outlook. Institute of Pharmaceutical Research, GLA University, Mathura has its own instrument lab which consists of UV-Visible spectrophotometer, FT IR spectrometer, HPLC, Florimeter, Phase Contrast Microscope and Brookfield viscometer. There is one dedicated library in the department that has around 3000 books, 2000 of project reports of soft and hard copy is available. Library is well lighted and airy and has very good arrangement of reading.